An annual tradition since 1901, Nobel Prize winners will be announced throughout this week in recognition of individuals who—in the words of Alfred Nobel—have ”conferred the greatest benefit to mankind.” In the past, Prizes in Chemistry and Medicine have been awarded to researchers studying topics that range from organic chemical reactions to the ways in which DNA codes for life. In fact, 215 have been awarded in these categories between the years of 1901 and 2016. In honor of this exciting week, we wanted to recap some of the past prizes for work that has contributed to the science behind Helix. Awarded the Nobel Prize for his chemical descriptions of deoxyribonucleic acids (DNA) and ribonucleic acids (RNA). Thanks to his research, the world learned about the nitrogen bases that comprise DNA and RNA—Adenine, Thymine, Guanine, Cytosine, and Uracil, often represented by A, T, G, C, and U, respectively. At Helix, our logo represents the 4 nitrogenous bases of DNA (A, T, G, and C), so we owe an especially big “thank you” to Dr. Kossel. Awarded the Nobel Prize for his work studying the way that heritable information is organized and passed on to the next generation. His famous Fly Room at Columbia University produced numerous foundational discoveries in the nascent field of genetics, and some terminology around mapping genetic information is named after him. Awarded the Nobel Prize for their research findings showing that DNA sequences contain information required to make proteins. Your DNA is a series of nucleotides which, when aligned in a specific pattern, spell out a code. This code contains information that instructs cells on how to build proteins and how to function. In short, DNA contains instructions for building life. Ochoa and Kornberg’s work described how new copies of DNA and RNA are made. Severo Ochoa was the first to make RNA in a test tube using an enzyme from bacteria. Arthur Kornberg, one of Ochoa’s former students, later isolated and identified the enzyme that makes new copies of DNA. Aside from the discoveries themselves, the methods they used to methodically isolate and purify enzyme activity defined a generation of biochemists, with several of their academic “children” (and Kornberg’s actual children) winning later Nobel Prizes of their own. 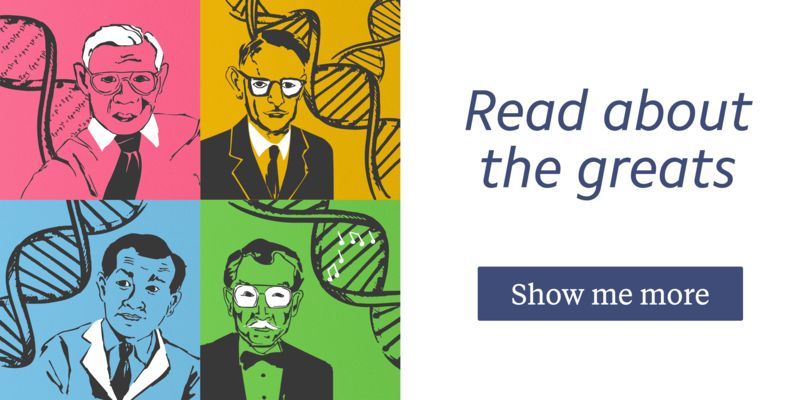 Crick, Watson, and Wilkins are perhaps some of the most well-known Nobel laureates. Rosalind Franklin and Maurice Wilkins used an advanced technology known as X-ray crystallography to generate abstract images (something you can try at home!) based on the way that X-rays are scattered as they pass through DNA. Using the data from Franklin and Wilkins, Watson and Crick were able to determine the double-stranded structure of DNA. This structure is the basis for how information in DNA is stored, copied, and accessed. Awarded the Nobel Prize for her work describing the ability of DNA to move between locations within the genome. Her studies using maize (a type of corn) introduced the scientific world to a new notion: small segments of DNA can be moved to other regions, and that some genes directly influence the activity of other genes. 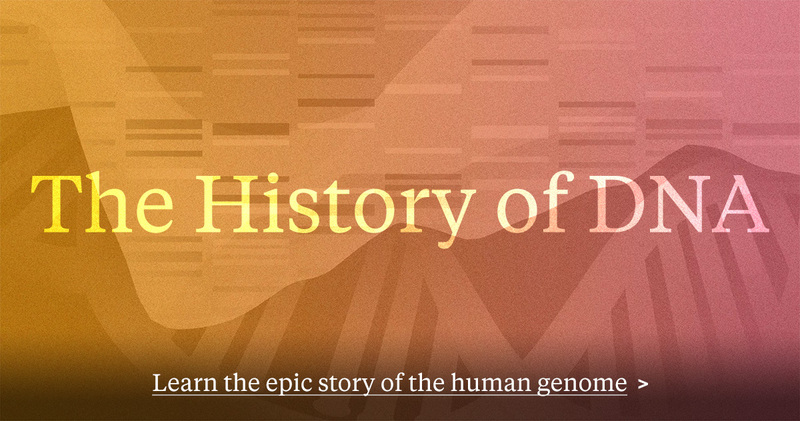 These mobile DNA elements are left over from a virus millions of years ago, and they’ve helped shape our evolution by making extra copies of some genes and breaking others. The concept of genetic regulation that she discovered might seem mundane today, but it was a decade before other researchers would replicate the discovery in bacteria. Read more about her impact here. Ready to learn what your DNA has to say about your bedtime? MySleepInsights from MyVytalics is here to help. Awarded the Nobel prize for their work in establishing scientific methods that allow us to study particular regions of the DNA. Mullis developed a technique known as PCR. This method is used to make numerous copies of a specific region of DNA, which allows us to study DNA from a small sample and is currently used throughout biomedical science. Smith determined how to introduce specific changes in a given DNA sequence. Having this ability helps us to study specific DNA variants in the lab and ultimately determine how changes in the DNA affect a protein’s function. Son of Arthur Kornberg who shared the 1959 Prize, Roger won for his work in describing and imaging proteins responsible for reading DNA. At the time of this discovery, the physical mechanisms by which cells read the DNA to make proteins was unclear. Using complex imaging techniques, Roger Kornberg imaged multiple steps in this process and shed invaluable light on a critical process found in all living organisms. Won the Nobel Prize for their work describing the structure and maintanence of telomeres, regions of DNA located at the ends of chromosomes. Telomeres are similar in concept to the plastic caps on the ends of shoelaces: they protect the DNA from wear and tear during the process of making a new cell. This process is inherently flawed, because every time a cell replicates, small portions of DNA are deleted from the chromosome ends. This would be catastrophic for a cell, but, telomeres serve as a buffer zone—a disposable DNA sequence that can be incrementally deleted while having little effect on cell health. Telomeres, and the proteins that replenish them, have since been shown to play critical roles in human health. 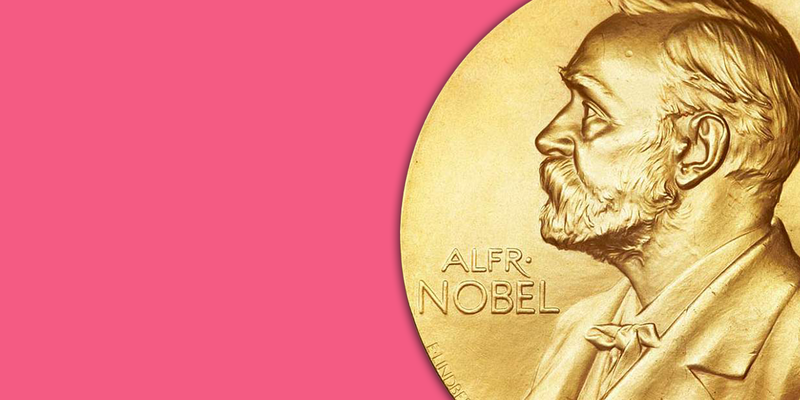 To see all the winners, be sure to visit the official Nobel Prize website.